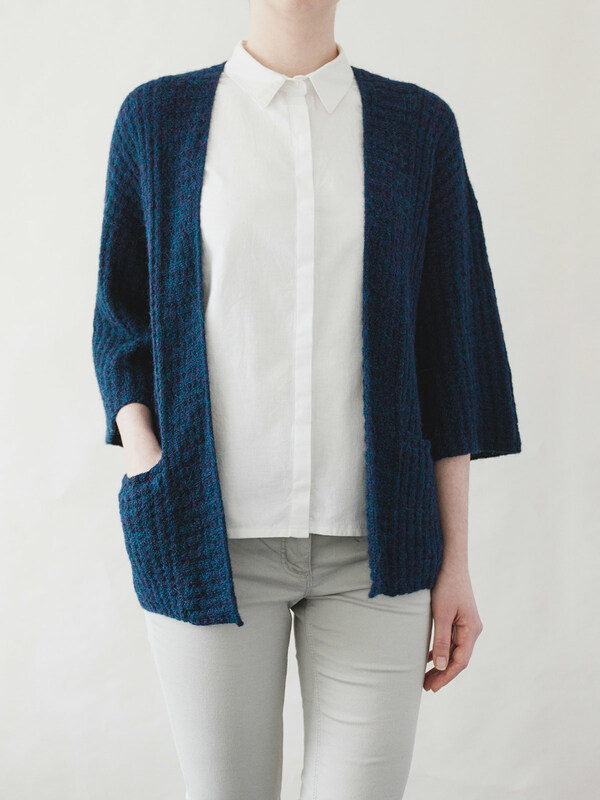 Meet Rumo, my latest cardigan pattern. 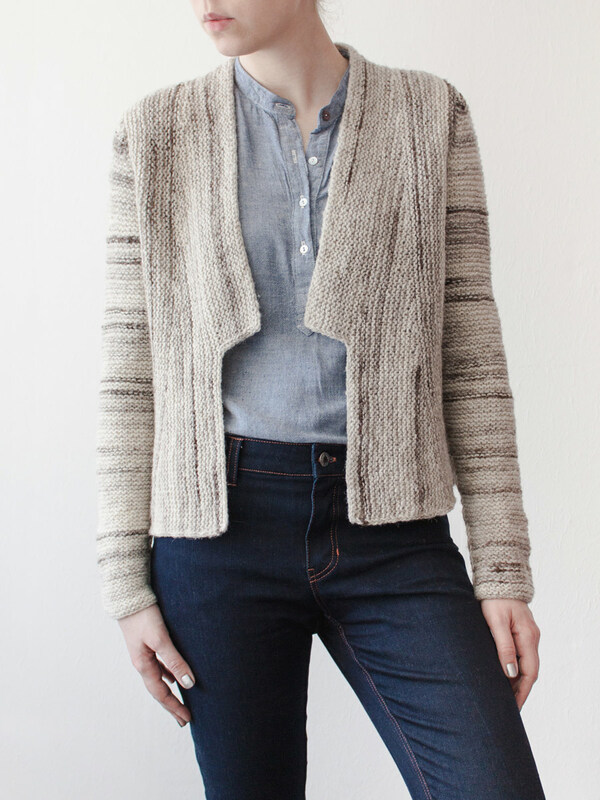 “Rumo” means heading, course, direction in Portuguese, and this cardigan is all about direction! 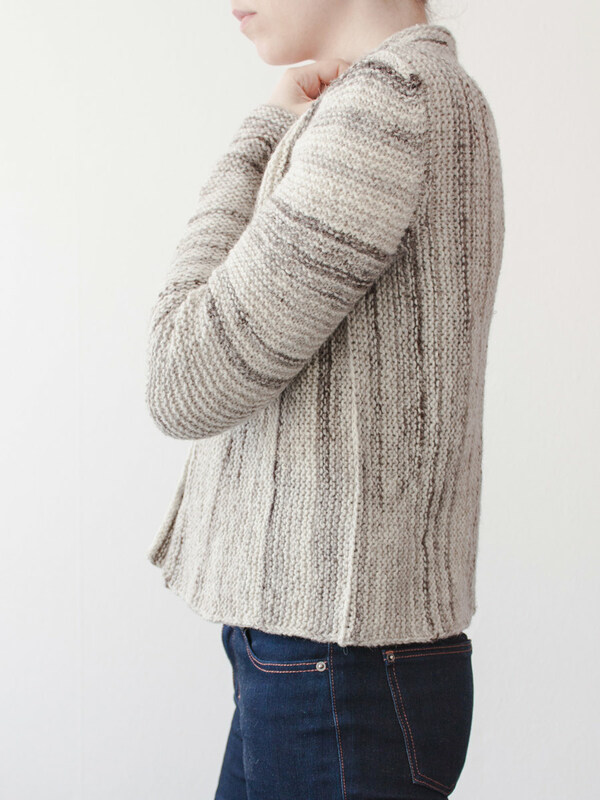 The body is knit sideways with a modular construction: using the same instructions and starting at the sides, four pieces are knit and joined together, making up the main body. 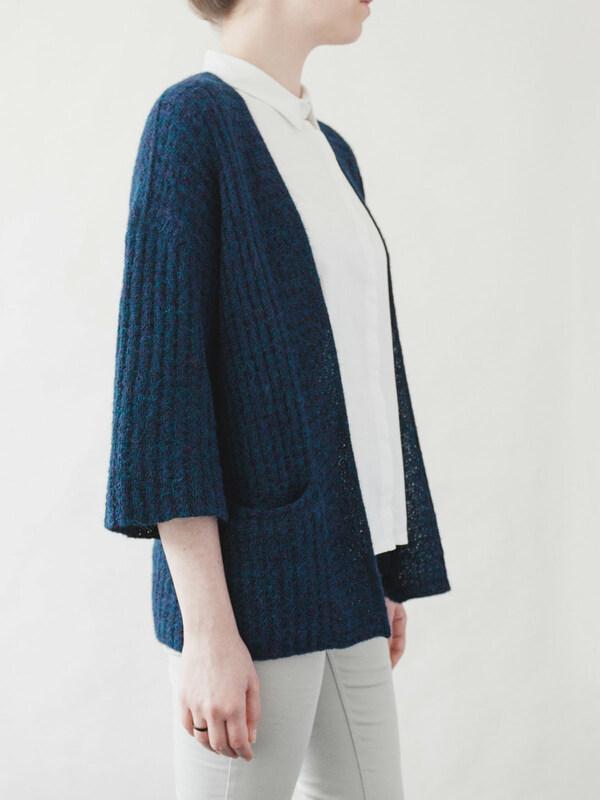 The fronts are extended with short rows and the lapels are then knit together, up and down. The sideways construction, the garter stitch and the short row shaping all work together to bring out the beautiful contrasting streaks in the Retrosaria Beiroa yarn. 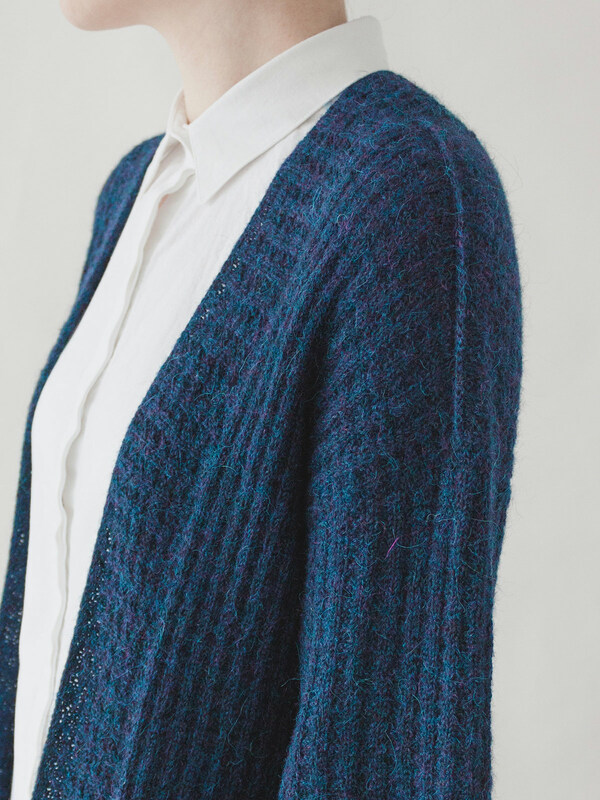 When I first designed this cardigan, I was planning on holding two yarns together to create a marled look, but then I remembered Beiroa! 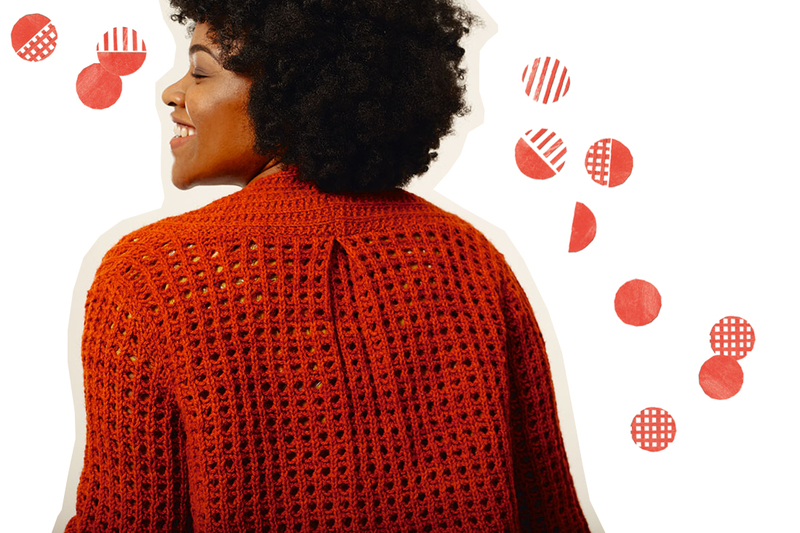 This yarn is so, so cool. I’d been thinking about trying it for years, and I’m so glad I finally did and it was with this design, I think they really compliment each other. Of course, I think this pattern could really make many variegated yarns shine, especially those with long repeats. All photos by Amy Gwatkin for Pom Pom Quarterly. Illustrations by Elena Skoreyk Wagner. 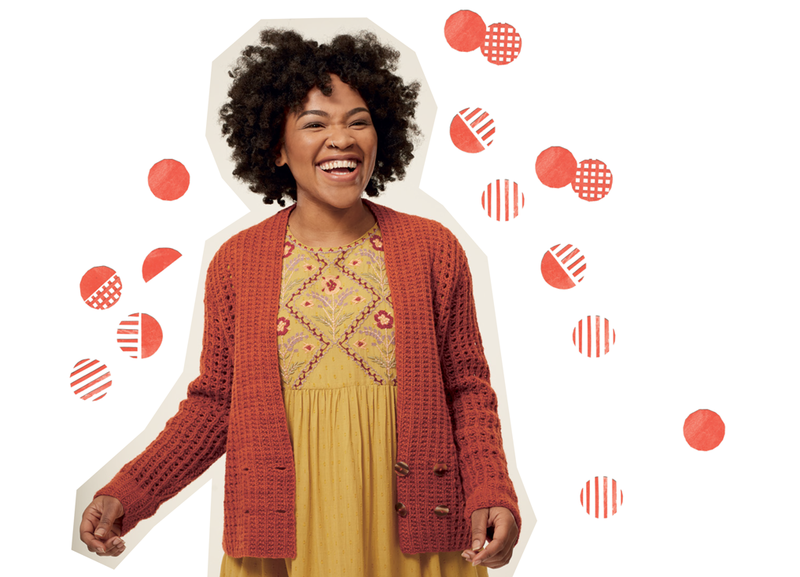 Have you seen Pom Pom Quarterly’s new spring issue? This one is all about stamps, with each design inspired by a stamp from a different country, and a couple of really lovely articles about mail and knitting as well. It’s a beautiful issue, really thematic and with such the attention to detail in the graphic design and the paper cut illustrations by Elena Skoreyko Wagner. 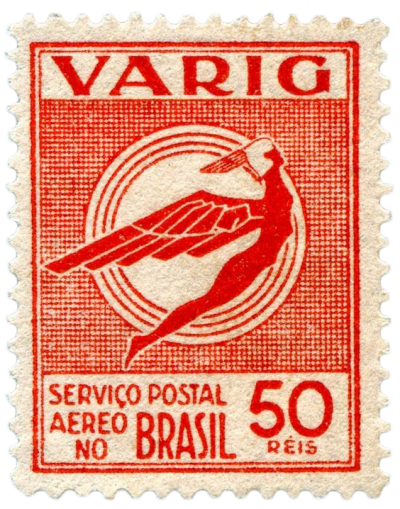 My design, the Perfin cardigan, was inspired by this Brazilian stamp. The single, bright red colour was the first thing that caught my eye when I saw it in the mood board, and when I noticed where it was from, I felt I just had to sketch a design with it. 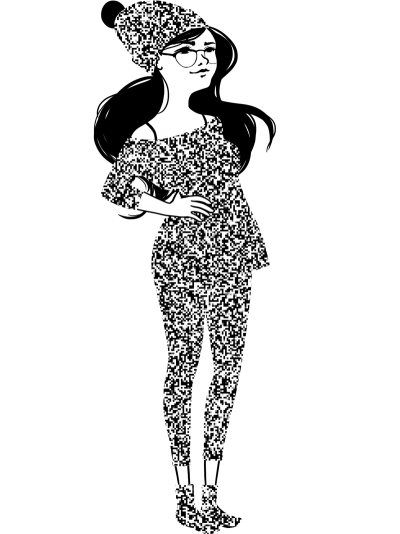 Originally, the idea was to knit the sample in a yarn from the stamp’s country of origin, but in the end we settled on a yarn local to me instead. Because I’m from Brazil myself and emigrated to The Netherlands in my childhood, I really liked the idea of bringing the two countries together – like a stamp might! The yarn is Ovis et cetera’s Shetland DK, spun from Dutch sheep and dyed by the talented Saskia, who was born and raised where I now live. And who, by the way, used actual stamps to ship the yarn to me! 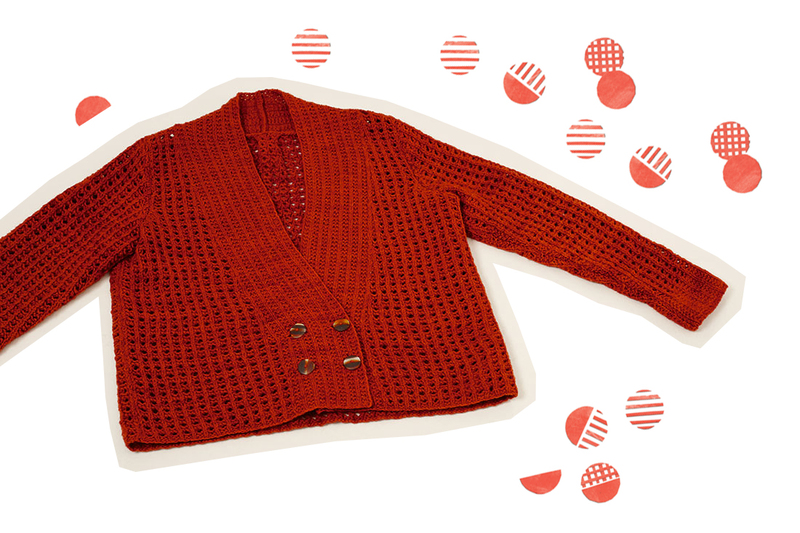 The cardigan itself was inspired not just by design on the stamp but what it celebrates too – the advent of airmail. 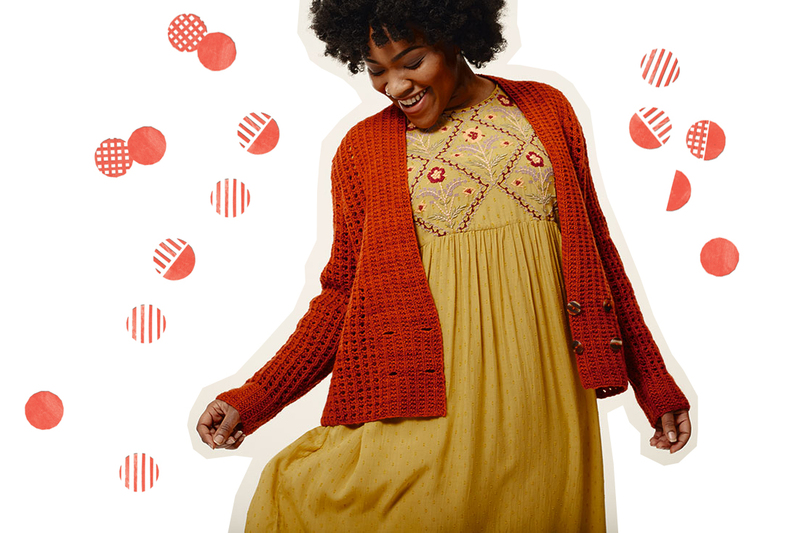 The stitch pattern was derived from the grid in the background and I wanted to use a single colour like the stamp, so instead of colourwork, the grid is made with eyelets – which makes this cardigan not too warm even though it’s knit in wool, perfect for spring. I also wanted to reference the aeronautical them in a small way, so the double breasted buttons are a little nod to pilots’ jackets.